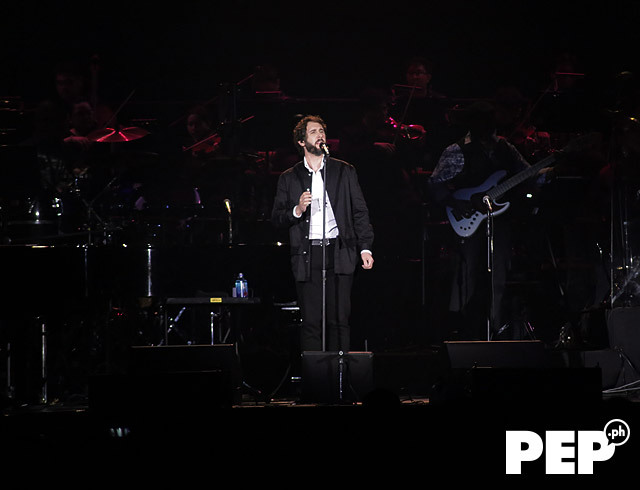 American singer/songwriter Josh Groban and Broadway superstar Lea Salonga performed "The Prayer" during the former's Bridges Tour 2019 in Manila held on February 22 at the SM Mall of Asia Arena. 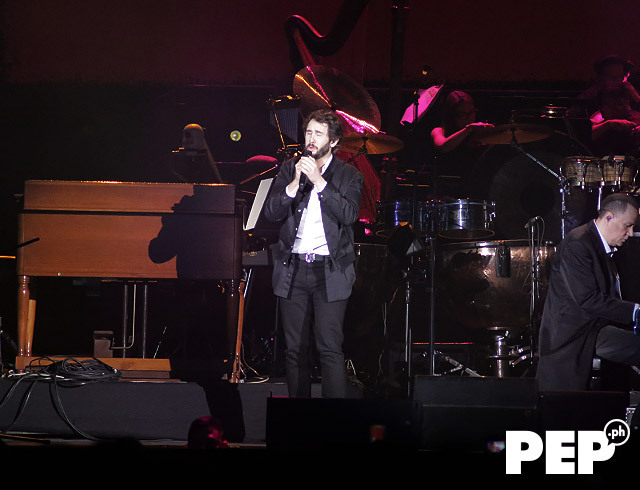 After twelve years, American singer-songwriter Josh Groban finaly made his way back to the Philippines. 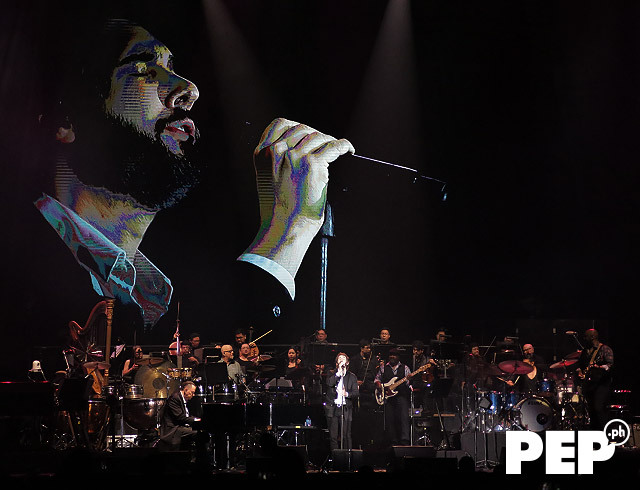 Organized by Ovation Productions, the 37-year-old multi-platinum singer brought his Bridges Tour 2019 in Manila on Friday night, February 22. Josh serenaded his Filipino fans at his one-night only concert at the SM Mall of Asia Arena in Pasay City. This is his second time to perform in Manila. Josh's first concert in the Philippines was in 2007. PEP.ph (Philippine Entertainment Portal) went celebrity spotting at the concert. 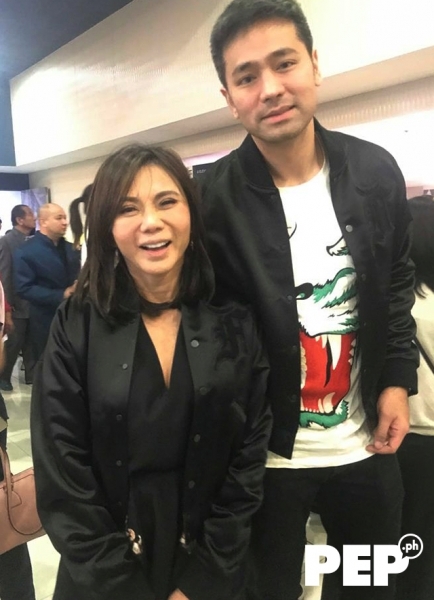 Celebrity beauty doctors Vicki Belo and Hayden Kho went on a date night. 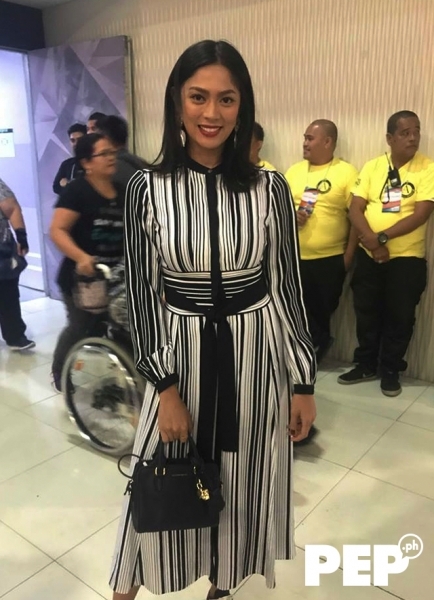 Former beauty queen-turned-actress Ariella Arida is a big fan of the American baritone singer. 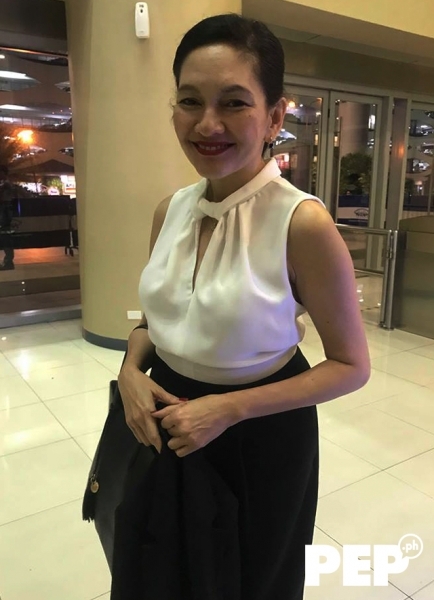 Senator Risa Hontiveros arrives just in time to watch Josh perform his hit songs. 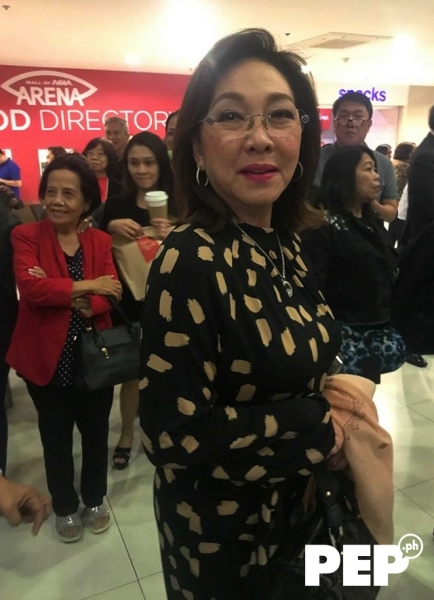 GMA-7 news anchor Mel Tiangco hurriedly left the venue to avoid Friday night traffic. 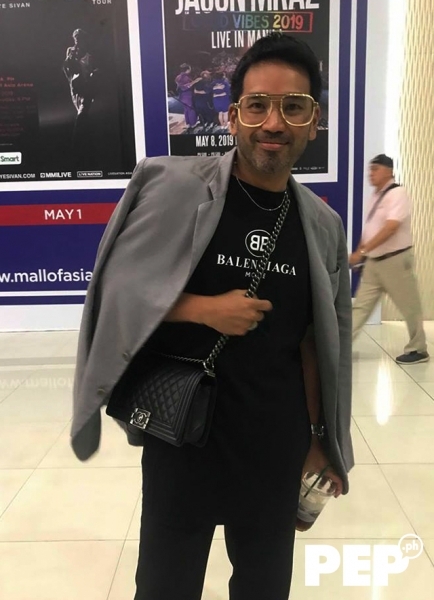 Fashion designer Bang Pineda spent Friday night watching the concert with his friends. Asia's Romantic Balladeer Christian Bautista opened the concert for Josh. The 37-year-old OPM singer captured the hearts of attendees with his chart-topping song "The Way You Look At Me" and his version of Eraserheads' "Ligaya." Christian also performed a medley of hit OPM songs including Spongecola's "Nakapagtataka," Rico J. Puno's "The Way We Were, Basil Valdez's "You," Ric Segreto's "Don't Know What To Say," and Martin Nievera's "Be My Lady." Around ten minutes after Christian's performance, Josh went out on stage for his highly-anticipated comeback to the Manila concert scene. Josh started the Philippine show with his performances of "Bigger Than Us" followed by "You Are Loved (Don't Give Up)." 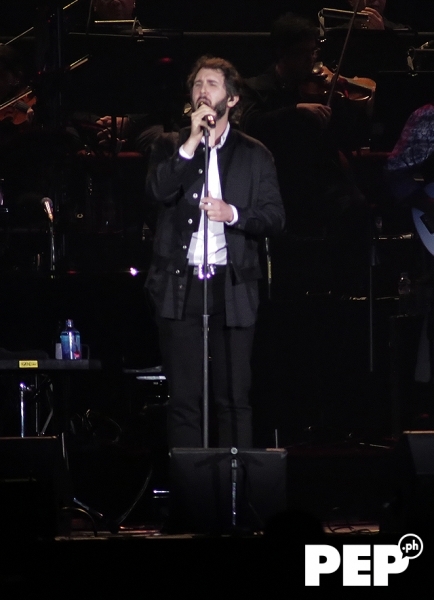 After his first few numbers, Josh greeted concertgoers and apologized for taking twelve years before returning for a solo concert. Josh told the crowd, "I'm so sorry it's taken me twelve years to get back here. I remember so fondly my time here twelve years ago when I did my first concert here. "I remember very fondly when my very first album came out and outside of America, they told me that the Philippines were loving the album. "And for me, to have an audience so far away from home that appreciated my music, and knew me, and knew my songs, and wanted me to come, I can't tell you how much that meant to me then and I can tell you how much it means to me now." The multi-platinum singer also expressed his appreciation for his Filipino fans. "It's been taking many years of planning to be able to come back but it has been one of my dreams and one of the most exciting moments for me on this Bridges Tour to finally be back here in Manila. "So first, I want to say I'm sorry and thank you for inviting me back to this amazing venue. "We only played for around 2,000 people last time we were here and now, we're in an arena. Thank you guys for making this so wonderful." Josh continued the show with his performances of "Won't Look Back," "Pure Imagination," and "Granted." He shared the stage with Christian and performed the song "We Will Meet Once Again" from Andrea Bocelli's new album titled Si. Before their performance, Josh described Christian as "somebody who is as kind as he's talented." Josh showed his mastery in playing the piano while singing "She's Out Of My Life." After the performance, the singer told the audience that this is the first time he performed the song for his Bridges Tour. "So I stayed up all night learning that on the piano for you." After his piano solo, Josh welcomed Broadway superstar and Tony award-winning actress Lea Salonga on stage. Lea wore a stunning royal blue gown while sitting on a wheel chair. She got injured during a ski trip in Hokkaido, Japan last January. Before moving on to their duets, Josh sang the happy birthday song to Lea who was celebrating her 48th birthday that night. Josh and Lea treated the audience to their rendition of the song "All I Ask Of You" from Andrew Lloyd Webber's musical masterpiece Phantom of the Opera. It was followed by their goosebump-inducing performance of "The Prayer." 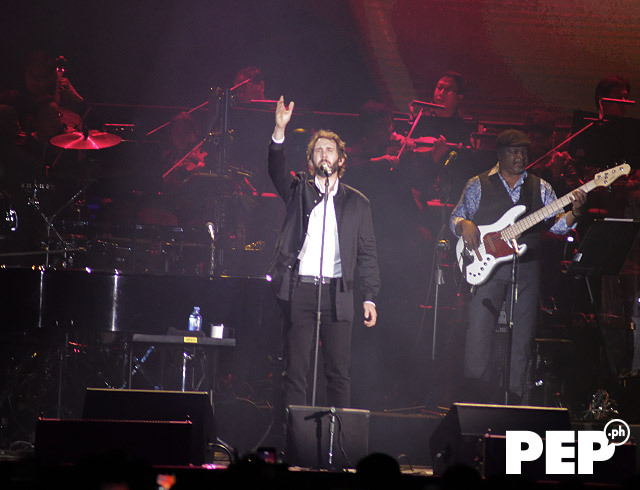 The concert continued with his performances of "Bring Him Home" and "Musica De Corazon." 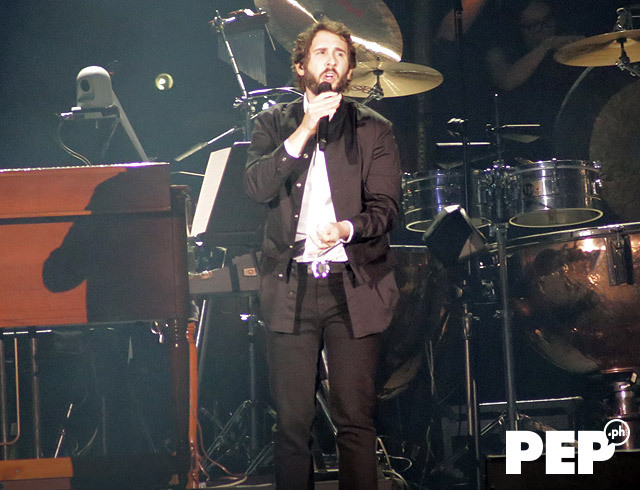 Towards the end of the concert, Josh addressed the issue of mental illness and encouraged every one to show more empathy to those suffering from mental disorder. He said, "We live in such a Instagram world where every thing has to look just perfect especially if you're on my position. "You have to look like everything is just wonderful all the time. "Of course, that is always not the case and you know, we talk a lot around the world about diseases that we need to cure, diseases that are around us all times, that are right in front of us. "We don't talk as much about the stigmas of mental illness, of things like depression and anxiety and things like that because those things are silent killers. "Because the about something like depression, is that it makes you feel that there's nothing out that door. It makes you feel like no matter how hard you try, no matter how much you're hurting, that nobody cares, nobody wants to hear it. "And that couldn't be father from the truth so I wrote this song as a way for me to find the smallest of steps back into a place of light. "And if you know what I'm talking about... and you suffer in silence or you know somebody who does, take the pledge with me to take those steps and reach out your hand because you'll be so surprised how many people there are to take your hand back and tell you how loved you are and how necessary you are." He dedicated his performance of the song "River" to those with mental illnesses. Towards the end of the show, Josh performed his 2001 song "Alla Luca Del Sole." At one point of the concert, he noted that Filipinos are some of the best singers in the world. 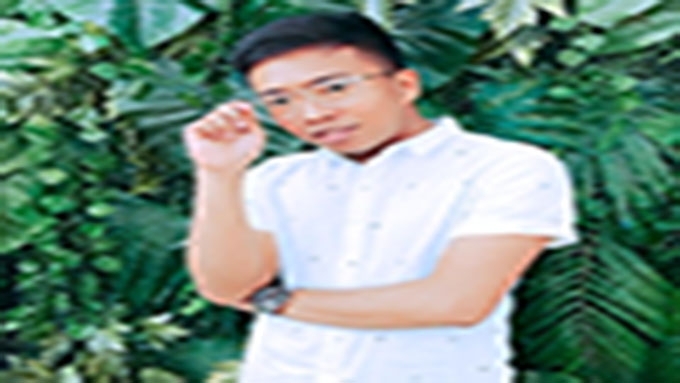 He said, "Every time I come here, every time I make friends from the Philippines around the world, music is a part of their life, singing is a part of their life and I have met some of the most incredibly talented singers from the Philippines that are not stars, that are not professional singers. "They do other things but they could be stars. There are so many could be stars because your voices are incredible." He went on to end the show with his biggest hit, "You Raise Me Up." Josh thanked his band, the ABS-CBN Philharmonic Orchestra as well as the Ateneo Chamber Singers for lending their talents. Josh went backstage after his last song. However, the American singer quickly returned after the audience chanted, "We want more!" He promised his Filipino fans that he'll come back as soon as possible. The singer said, "I promise you it won't be twelve years before I'm back. It would be twelve minutes before I'm back. Mark my words, we'll be back again and again." For his encore performances, Josh performed "To Where You Are" and "Bridge Over Troubled Water."